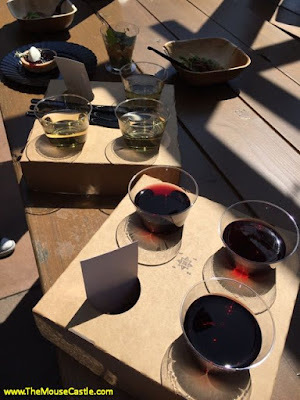 So you want to be a Disney historian? A lot of peple aspire to the title, even though it doesn't pay well--if at all--and pretty much no one is going to hire you to fill the job vacancy of "Disney Historian." Still, it's a noble field with many esteemed names, a number of whom it's been my pleasure to welcome to The Mouse Castle Lounge: Jim Fanning, Sam Gennawey, Didier Ghez, J.B. Kaufman, Jeff Kurtti, Todd Pierce and Paula Sigman Lowery. 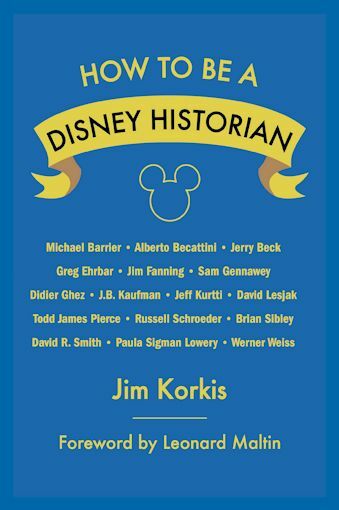 And those are just the people who have contributed to Jim Korkis' new book, How to Be a Disney Historian. It's a collection of tips, tricks and anecdotes about the world of Disney history research. 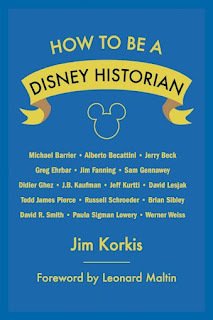 It's an incredibly useful and informative book even if Disney history isn't your thing, because there's plenty of advice about writing and research in general, regardless of your particular topic of interest. Jim Korkis is a great friend of The Mouse Castle Lounge and it's always a pleasure to have him as my guest. The lengthy list of Disney history books Jim has written includes The Book of Mouse, Secret Stories of Walt Disney World, and four volumes of his Vault of Walt series. Today, Jim shares with us his best advice on how to become a Disney historian and what separates the contenders from the pretenders. Together, he and I tell our own real life stories about how to make an interview go horribly wrong. Please welcome Jim Korkis, my guest today in The Mouse Castle Lounge. How to Be a Disney Historian is published by Theme Park Press. Listen and subscribe to The Mouse Castle Lounge on Google Play Music, iTunes, Stitcher and SoundCloud. Do you love hearing conversations with Disney historians like Jim Korkis, J.B. Kaufman and Jim Fanning; filmmakers like Pamela Tom, Sarah Colt and Don Hahn; and artists like Dave Avanzino? 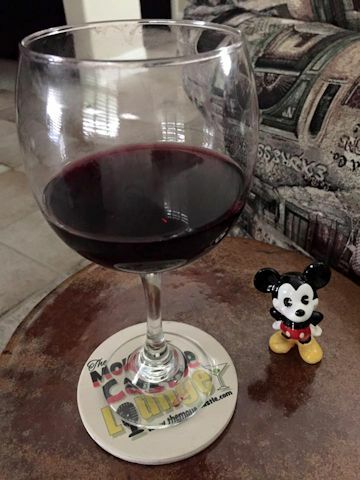 Then please nominate The Mouse Castle Lounge for the 11th Annual People's Choice Podcast Awards. Nominations are open through April 30, 2016. Please go to www.podcastwards.com and nominate The Mouse Castle Lounge in two categories: SOCIETY-CULTURE and PEOPLE'S CHOICE. The more nominations and support we get from our fans, the greater the odds of us making the final nomination ballot. Please share this with your friends and fellow Disney enthusiasts. Thank you so much for being a part of Team Mouse Castle. For the first time in way too long, the Food and Wine Festival has returned to Disney California Adventure. It’s going on this month every Friday, Saturday and Sunday, ending on May 1st. 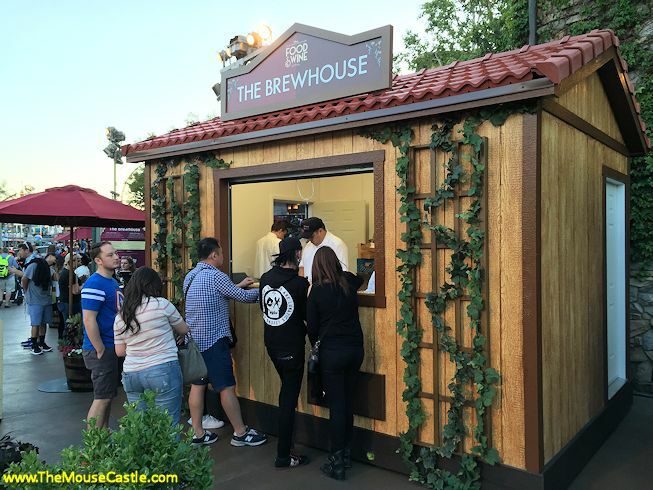 It’s a celebration of the tastes of California and an opportunity to sample an assortment of beverages and tasty treats you can’t otherwise find at DCA. 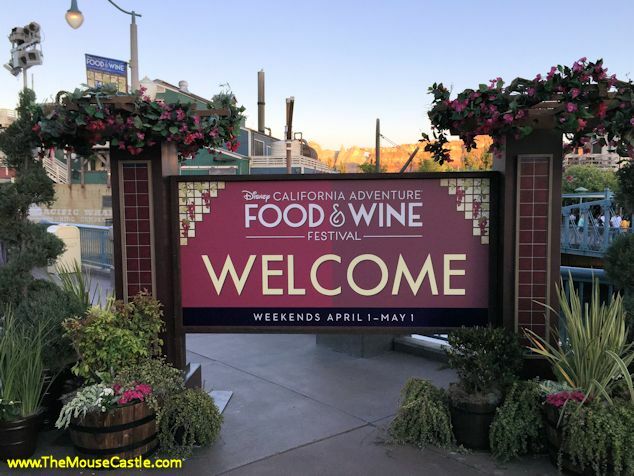 You can eat and drink your way from Carthay Circle to Paradise Pier at 8 different Festival Marketplaces, plus there are a number of beverage seminars and culinary demonstrations happening throughout the event. 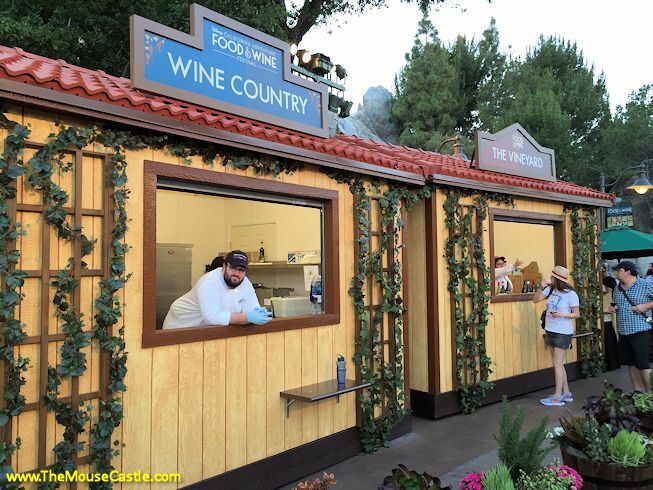 In Hollywood Land, they’ve set up a celebrity kitchen. For $99 per person you can enjoy presentations by famous chefs like Andrew Sutton, Guy Fieri, Keegan Gerhard, G. Gavin and Graham Eliot--and no, not all those presentations are sold out yet. 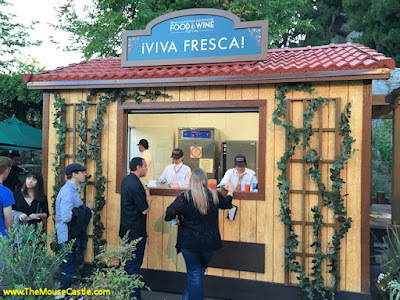 You can find out more by visiting https://disneyland.disney.go.com/events-tours/disney-california-adventure/food-and-wine-festival. 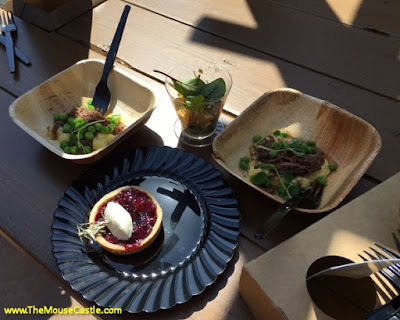 Last weekend, Team Mouse Castle dropped by the Food and Wine Festival and, oh yes, we sampled as many culinary offerings as we could. Saturday night, we all got together at Napa Rose inside the Grand Californian Hotel and shared our thoughts about Food and Wine, how it compares to similar past events at DCA and especially how much of a value it is for guests. 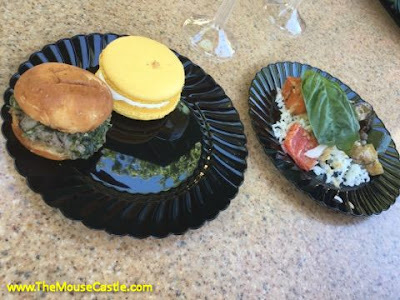 Team Mouse Castle overindulges in food and wine—what could possibly go wrong? So, apparently I'm in the minority when it comes to choosing #TeamIronMan over #TeamCap. I can't even catch a break choosing #TeamBlackWidow. How do I know this? Because a bunch of you let me have it in the first Mouse Castle Lounge Happy Hour on Facebook Live. It was supposed to be just a friendly get together on National Beer Day, but no. All I can say is I better get my red carpet invite for Tuesday night's Captain America: Civil War premiere. It'll be at the Dolby Theater in Hollywood with the stars arriving about 5:30 p.m.
Because, you see, we talked about a lot of other stuff during Happy Hour. Well, I talked. The rest of you typed. It worked out. The new Rogue One trailer. Star Wars: The Force Awakens on Blu-ray. Walt Disney World's "Early Morning Magic." The Haunted Mansion "Ghost Post." Please take a look and don't forget to like The Mouse Castle on Facebook. You don't ever want to miss happy hour.